I had to wait a long time to achieve my dream of becoming a writer, only putting ‘pen to paper’, once my children had left home. Then after joining a writers’ workshop, my short stories were published widely in women’s magazines in the UK, Australia, Norway, South Africa and Ireland. Feeling more confident to attempt a mainstream novel, I wrote Ring of Clay which won the Romantic Novelists’ New Writer’s Award, and also the Society of Authors’ Sagittarius prize - at that time sponsored by Terry Pratchett, who I was lucky enough to meet. I have now written seven romantic regional novels set in the Potteries (Staffordshire), where I was born and grew up. Dangerous Decisions is completely different from anything I’ve previously written. Set against a cosmopolitan background and in the Edwardian era, it tells the story of Helena, a young and sheltered debutante who is courted by the wealthy, handsome and enigmatic Oliver Faraday. Despite a sense of unease and being haunted by the image of an attractive young doctor, she mistakes infatuation for love and accepts Oliver’s proposal. But he is deeply flawed and I would describe Dangerous Decisions as both romantic and full of suspense. I’ve always been fascinated by the Edwardian era and used to love the TV series Upstairs/Downstairs. The beautiful clothes, the pampered life of the aristocracy, the widespread poverty and drudgery of the working classes, the servant culture, all drew me like a magnet. And I was half-way through the book when Downton Abbey hit the TV screens. Naturally, I’m hoping that its fans will enjoy reading my own Dangerous Decisions. 4. Why is Helena and Nicholas the couple of the season? Theirs is an instant and bewildering attraction that defies class barriers. It seems unbelievable nowadays but being a member of the medical profession, Nicholas would have been regarded as being of an inferior class - certainly not acceptable in Edwardian society. And their love, being secret and honourable, had a special poignancy. 5. What is coming next from you? Having enjoyed so much my research, I’m writing another novel set in the same era. I don’t have a title yet - I nearly always have to wait until the last chapter to hit on the right one. The opening chapter begins within the harsh conditions of a workhouse - I write organically but already am intrigued by the mystery developing. And of course there are scenes of wealth and privilege where to spend one’s days - if only in the mind - is a joy. A medical professional used to be considered part of an inferior class? I had no idea. Sounds like a bit of a forbidden love story since their love spans class boundaries, and I'm always a fan of those types of romances! There was such snobbery in those days Jenny, the divisions between the classes was rigid. Anyone who actually worked for a living, be it in any of the professions, was considered to be socially inferior. Thank you for your comment, if you decide to read Dangerous Decisions, I hope you enjoy it. :) This sounds so good. Good review ladies. I have that dream to be a writer one day. When life allows you to, do follow your dream Carole. I only wish I had done so sooner. Thank you for your comment. Oh I am certain with this will be popular with all the Downtown Abbey fans. Sounds like an interesting little read. I think it is wonderful that she achieved her dream of being a writer later in life. I'm hoping that you're right, Heidi about its prospects! 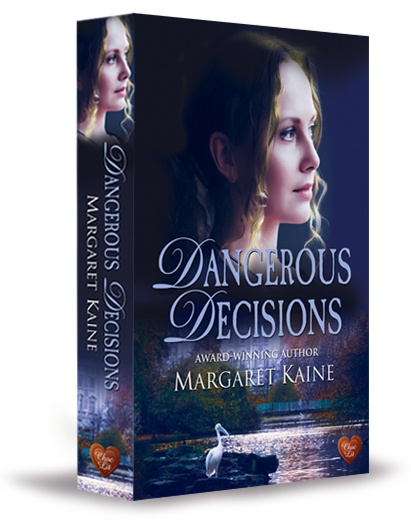 Dangerous Decisions was a joy to write, and the reviews and feedback from readers has been inspiring. And thank you for your kind comment. You are very welcome. It's lovely to meet online new people. I am a huge fan of forbidden romance and class crossing love, so this sounds right up my alley. Love Downton Abby & Upstairs/Downstairs. Thanks for sharing! It's a pleasure, Lauren. Thank you for your comment. Lovely interview and may I say I love the cover, this sounds wonderful! Thank you. The cover is my favourite one of all of my books. I absolutely love it. Thanks for the awesome giveaway. Please enter me. I would love to read this book. Sounds very good. Lots of luck with your entry Victoria. It was a pleasure Erin, and thank you for your congratulations. I absolutely adore and love a good love story. I do enjoy a book with a different twist to it. I would dearly love to read this story as it appears to contain everything that I love, passion, intrigue and romance. I would love to follow Helena’s journey from the beginning, right up to her “Happy Ever After”. Thank you so much for this opportunity to win. And sending you lots of luck too, Diane. I enjoy a good love story as well! I would love to read this book. Thanks for this chance. Sounds great, I love historical settings and romance! Please enter me in the giveaway to please. I've always thought that was an interesting thing. That the medical profession was rather looked down on. It does sound like an interesting romance! Historical fiction is among my very favorite reads. This one sounds great! Thanks. I enjoy reading about this time period too, plus I love that there's romance and suspense! I do love a good romantic suspense read. Being a historical is only an added bonus. 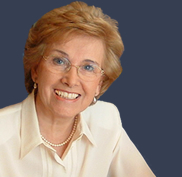 I look forward to hearing more about your newest release Margaret.